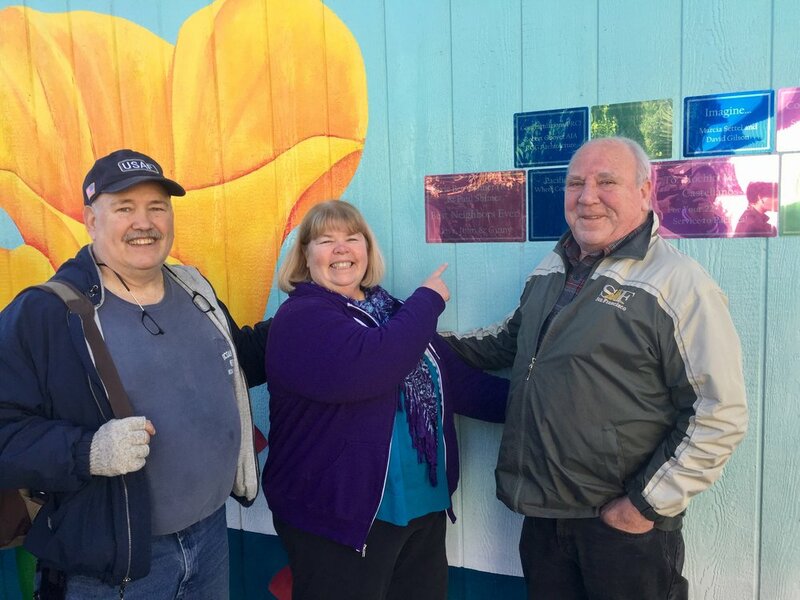 Dedication Plaques for PRC’s Mural, “Coastal Wildflowers”! are available now! Space is limited, please order as soon as possible! Once YOu complete the ONLINE form beloW, Please send a check payable to Pacifica Resource center, 1809 palmetto ave.
call us at 650-738-7470 TO PROCESS your PAYMENT over the phone online. thank you! Please Note: The engraver will automatically center each line of the message and use upper and lowercase lettering. Complete a separate form for each plaque. Please send a check payable to Pacifica Resource center, 1809 Palmetto Ave. or call us at 650-738-7470 to process your payment over the phone online. Gifts are tax deductible to the extent permitted by law: our tax ID number is: 81-1496989. Thank you for the support! Together, we are Neighbors Helping Neighbors!